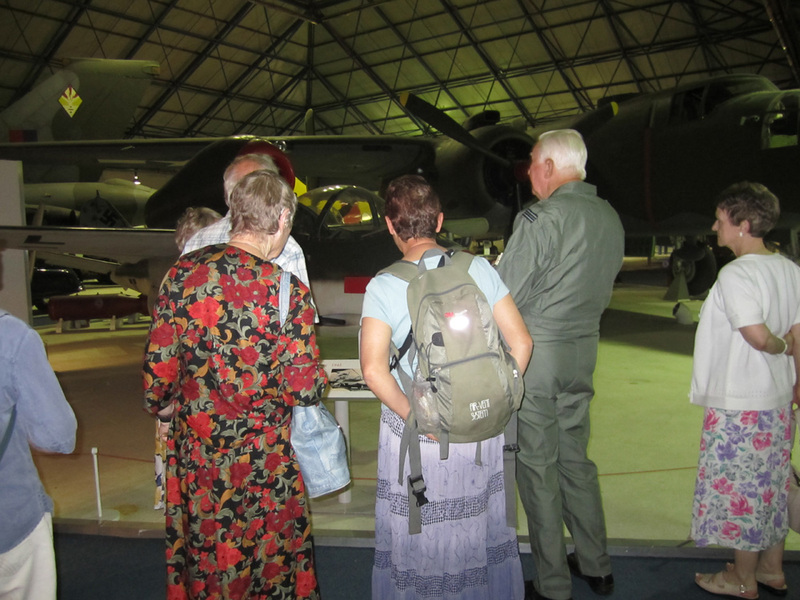 After a longer than expected time spent travelling to the RAF Museum at Hendon, 34 members and friends of CADHAS arrived looking forward to their visit. Three guides were waiting for us to take us around. 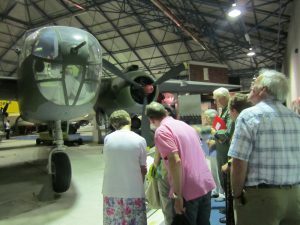 The museum is sited on Hendon aerodrome, the cradle of British aviation, and was an actual WWII airfield and consists of a number of different hangars. We started in the Milestones hangar which contains a large number of aircraft and flying machines from the very start of aviation history. Most were replicas but there were a few actual aircraft to admire as well. We moved onto Bomber Hall which contains the bombers from WW1 up to today’s aircraft and includes all the well-known names such as the Halifax and the Lancaster. Then through to the Historic hangars to admire and be amazed at the huge size of the aircraft, especially the immense Vulcan. 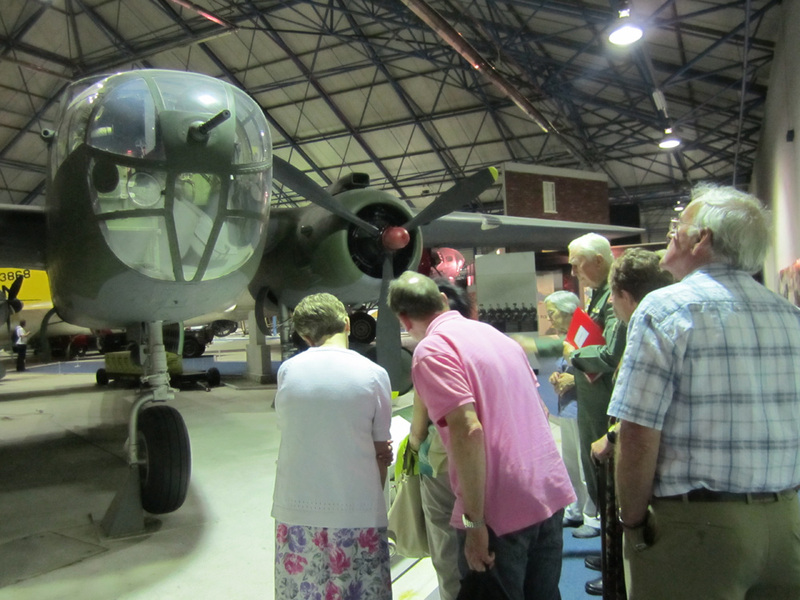 Finally we visited the Battle of Britain Hall which had a selection of aircraft from both sides of the conflict. My guide joined 43 Squadron after the end of the Second World War and showed us a photo of him standing alongside a Gloster Meteor when aged 22 in 1951. He also showed us the actual Hawker Hunter plane he flew. 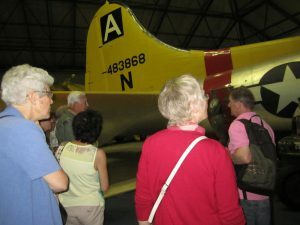 His stories helped bring the aircraft to life for our group. With plenty of other displays to admire and with plenty of stops for refreshments, our visit to the museum passed far too quickly and it was time for another long journey back home.